As a one-stop shop for finding reverse mortgage deals and other home loan products, LendingTree has long been the leading online loan marketplace in the country. Over 65 million borrowers have used LendingTree to be matched with lenders. LendingTree is the leading online marketplace for home, auto and business loan products. Their loan offerings include home purchase, mortgage refinances and reverse mortgage loans. Check out our picks for the top reverse mortgage lenders by clicking the link below. A reverse mortgage is part of a comprehensive retirement plan for some seniors, while others use this loan to get access to funds for paying unexpected medical bills, high-interest debt, home repairs or improvements or home health care expenses. LendingTree can help you select the right reverse mortgage for your needs, whether you need a lump sum, line of credit, monthly income, or a combination of all three. LendingTree also gives you comparisons of credit repair services, debt consolidation services and banking products. It also has free online tools where you can see current or “live” mortgage rates, figure out monthly payments using a mortgage calculator and check your credit score for free. To compare reverse mortgages on the LendingTree website, enter your address, estimated home value, phone number and email address and you can view loans immediately. The potential downside to providing this information is that you will likely get calls from lending agents, mortgage loan offers in your email, and offers via U.S. Mail with reservation codes that you need to shred if you don’t use them. Some lenders are very gracious when asked to stop contacting you, but others can be more tenacious. How a lender handles initial communications with you is not a reflection on LendingTree itself. Instead, it’s a realistic picture of being the prize in a competition for loans. To help you determine how much you can get for your home equity with a reverse mortgage, LendingTree has a calculator on its website. The reverse mortgage calculation reveals how much you can expect to receive in a lump sum, although, with a reverse mortgage, you can close on a loan that pays you monthly or as a line of credit. Before you can apply for a loan, you must be qualified for a reverse mortgage. 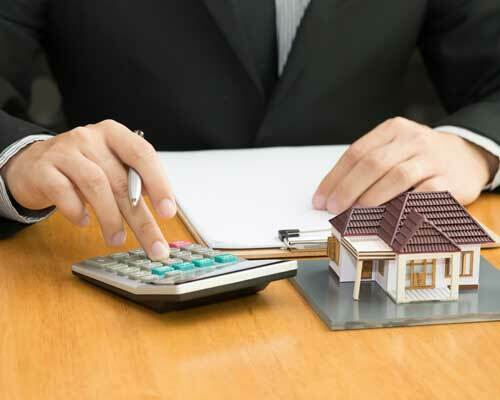 The amount you receive at closing depends on several factors, including your property value. We used LendingTree’s calculator along with data from a recent National Reverse Mortgage Lenders Association (NRMLA) study of the average reverse mortgage funds borrowers received. We did not get different results by entering various property locations into the calculator, so assume that LendingTree’s numbers are an average across the country. LendingTree produced slightly higher funds from a reverse mortgage compared to the national average, but this is likely due to the NRMLA data including households that have a balance on an existing mortgage among other factors. The Better Business Bureau gives LendingTree an A- rating based on 300 customer reviews. ConsumersAdvocate scores the lender at 9.2 out of 10, noting that the company has just two regulatory actions against them, which is negligible considering the high volume of loans they initiate. ConsumerAffairs readers rate the company 2.5 out of 5 stars with most complaints speaking to LendingTree saying they would only do a “soft pull” of the consumer’s credit score and ending up requesting a score from multiple agencies. Consumers stated this hurt their credit score. Other complaints mentioned LendingTree selling consumer phone numbers causing consumers to receive multiple phone calls from various financial institutions. How does LendingTree determine the fees for a reverse mortgage? Fees for a reverse mortgage, technically called a Home Equity Conversion Mortgage (HECM), vary but most charges are not established by LendingTree or their network of lenders. The federal government regulates reverse mortgage loans, and HECM interest rates are comparable to the annual percentage rates associated with conventional mortgages. Does LendingTree charge any upfront fees? LendingTree doesn’t charge any fee to match you with various lenders, and the company doesn’t allow any of their lenders to charge upfront fees to guarantee or insure a loan. Can I get a fixed-interest rate reverse mortgage through LendingTree? If you opt for a lump-sum payment from your reverse mortgage, you can get a fixed-rate loan. The Federal Housing Administration sets the adjustable interest rates on the line of credit or monthly payment options. Do I have to pay off my existing conventional mortgage to apply for a reverse mortgage with LendingTree? No. It’s not uncommon for borrowers to use the proceeds from a reverse mortgage to pay off an existing mortgage. Just remember that you must continue to pay property taxes, insurance and maintenance costs to avoid defaulting on your reverse mortgage loan. Are there any limits on how I spend the money from a reverse mortgage? There is only one caveat as to how you spend your reverse mortgage proceeds. If you have an existing mortgage loan, you must pay that off. Once that is done, you are free to spend the remaining money any way you choose. When you need to find a reverse mortgage lender, finding a competitive rate matters. LendingTree makes comparing reverse mortgage and conventional mortgage rates easy and stress-free by allowing you to fill in your information one time to compare lenders, who then contact you. The LendingTree Reverse Mortgage Calculator can help you plan before you apply for a loan, and you will find a tool on LendingTree’s website that lets you know if you qualify for a reverse mortgage.